This time the Journey in the Dark leads your heroes into the Labyrinth of Ruin. In the remains of Sudanya on the edge of Terrinoth, lies a forgotten city. Inhabited by horrible creatures, it veils unknown dangers and deep secrets. Little is known, but legends promise fame and wealth. And so the heroes enter the labyrinth of forest and ruins. The new expansion brings a whole lot of new heroes, monsters and classes. We have taken care of the order in your box. So that you only have to keep track in the labyrinth. 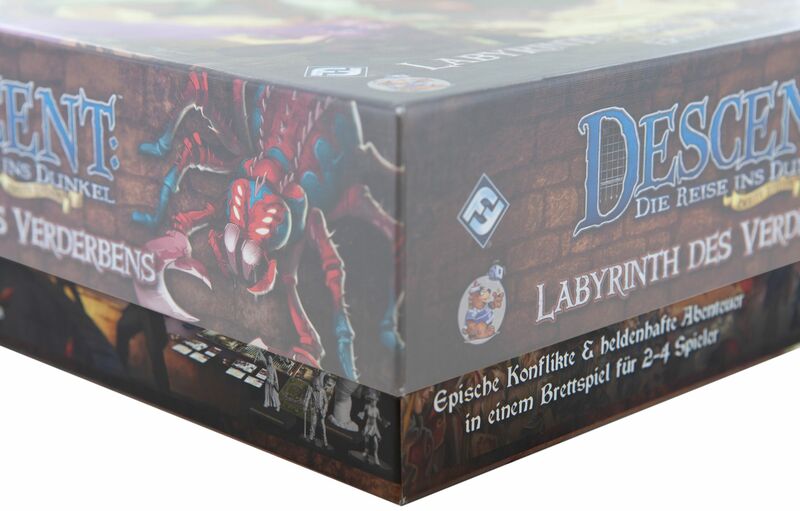 The foam tray set for the original Descent: Journeys in the Dark Second Edition – Labyrinth of Ruin board game box consists of two foam trays for the game material and one matching foam topper. All of the four Hero Figures, as well as the 13 Monster Figures, can be sorted upright in the upper tray (dimensions: 285 mm x 285 mm x 60 mm height). The compartments are all exactly tailored to the miniatures. This prevents a collision and possible damage to painted figures. Hereby Arachyura scissors are protected against bending as well as the weapons of your heroes. 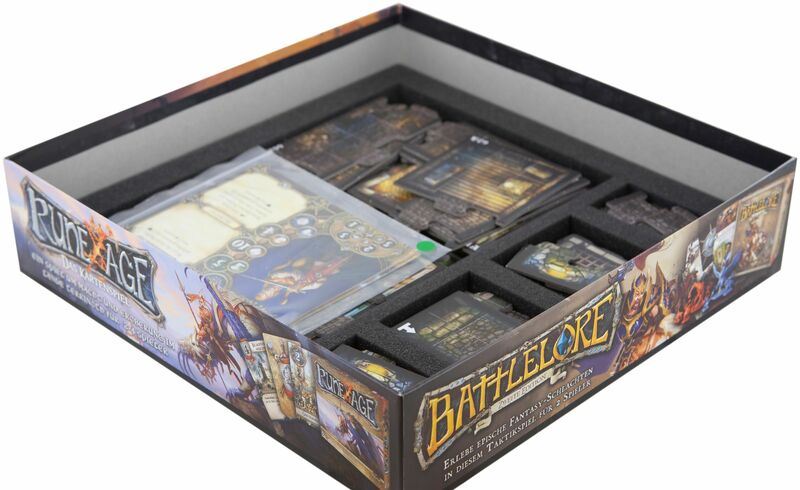 The game cards can be sorted into two compartments of different sizes (small and bridge-sized) on this foam tray. Power dices, tokens, and plastic stands also have their own compartments. The lower foam tray (30mm height) provides more oversight and order. 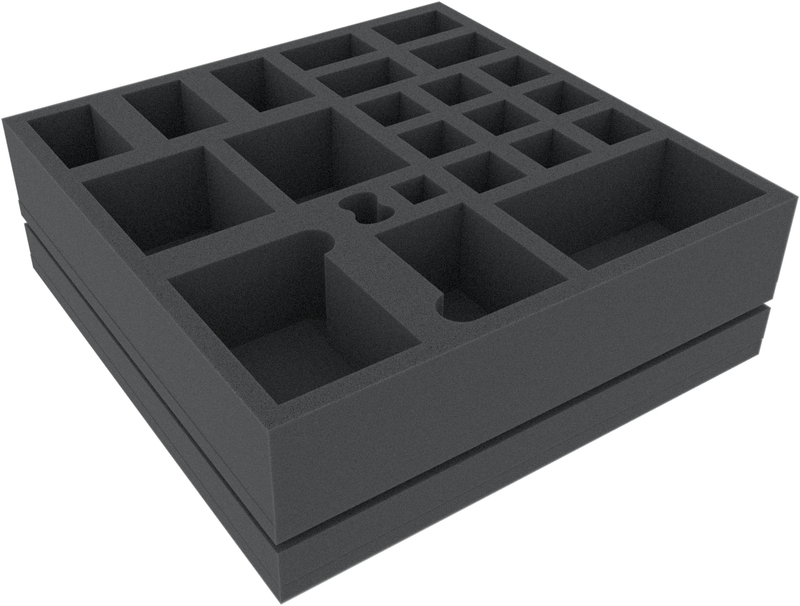 Since time-consuming searches for the right map tile is a common problem, we have divided this foam insert into compartments of different sizes. Here the tiles can be stored well-arranged and in this way are always at hand. The Hero Sheets also find a safe place here. The Rulebook/Quest Guide lies on the foam topper, together with the two larger map tiles that do not fit into the accessory mat. Since both inlays have a total height of 95mm, the lid of the game box extends accordingly. 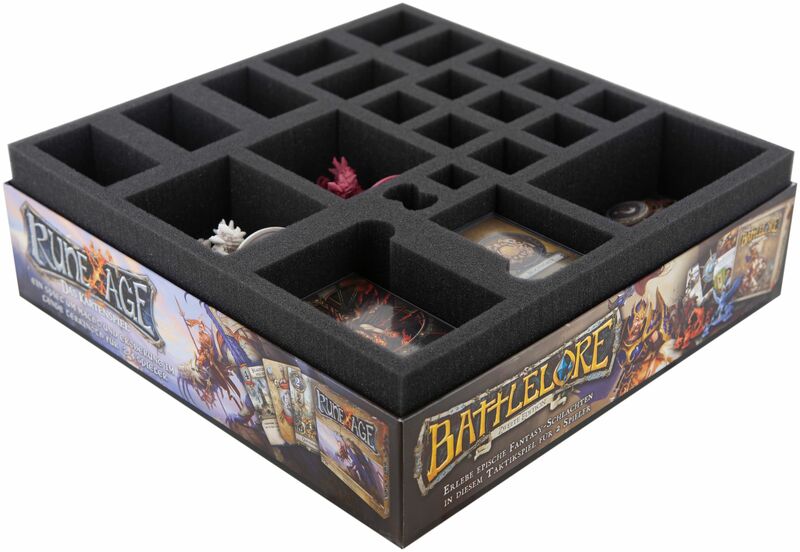 Dimensions for this board game foam trays are 285 mm x 285 mm x 60 mm height and 285 mm x 285 mm x 30mm height.